An alleged kidnap kingpin, Chukwudumeme Onwuamadike a.k.a Evans has denied his confessional statement after his arrest in 2017, saying it was made under duress. 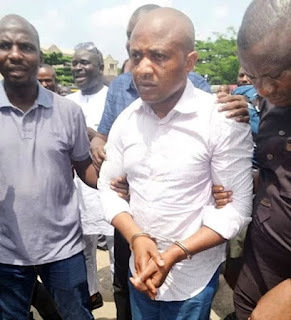 However, Evans was cross-examined by the Lagos State counsel, Mr. Jide Martins, to prove that Evans statement was not taken under duress. The Lagos State counsel, however, said that they have not been served with the address of the defense. Justice Akintoye, after listening to the evidence, adjourned the case until Jan. 30 for the continuation of hearing.